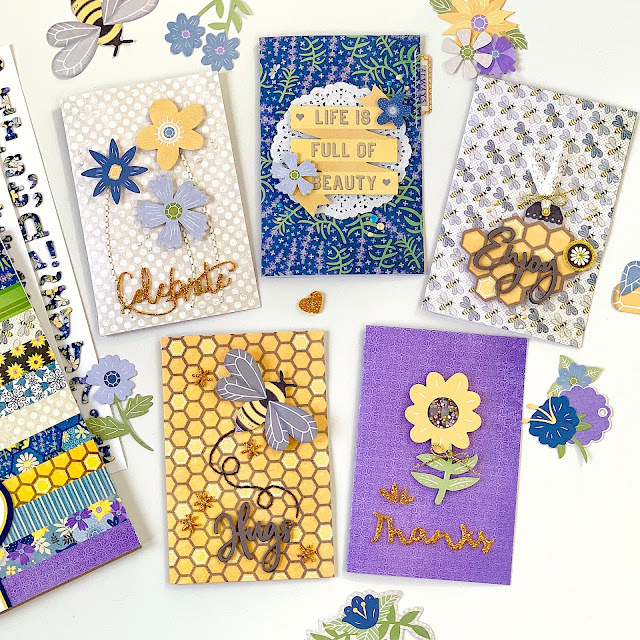 Hey dear crafty friends! It's Angela here with you today. 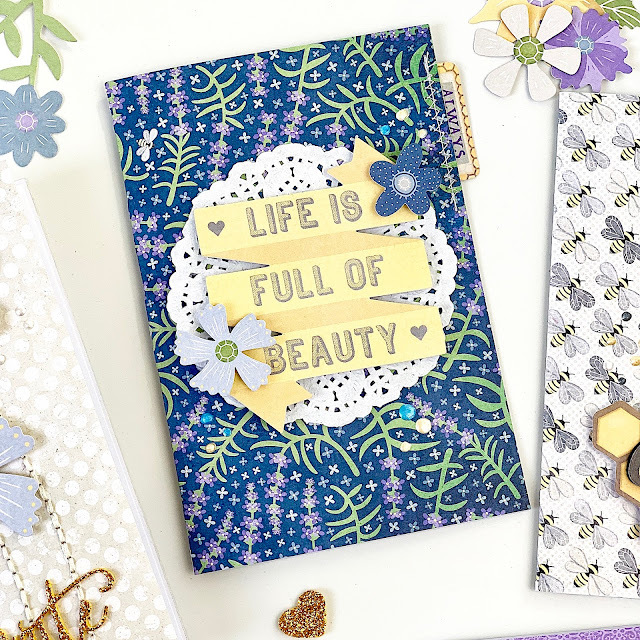 I have a quick project to show you, that I made using the new gorgeous Bee-utiful You collection by BoBunny. It's a bunch of cards I made in less than one hour, simple but beautiful and no measuring is required! Are you ready? Let's start! My first step to save time was the paper. I alway struggle to measuring paper sizes, card bases and things like that. 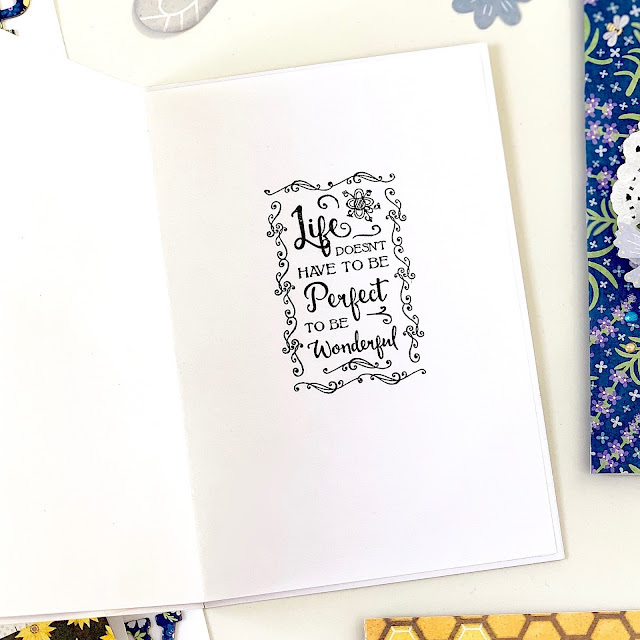 This time, I figured it out using te 6" x 8" Bee-utiful You paper pad! It has twelve different patterned papers, perfect for card making. I grabbed my preferred designs and I folded each one in half and I ended up with a 4" x 6" card. How simple is it? Then, I chose a few die cuts from the Bee-Utiful You Noteworthy pack and for the first card I went with this flower which has a hole in the center. It was perfect to create a tiny shaker flower. I used a die from All Occasion Senentiments dies set and I cut the word Thanks and a couple of hearts out from a piece of gold foam. 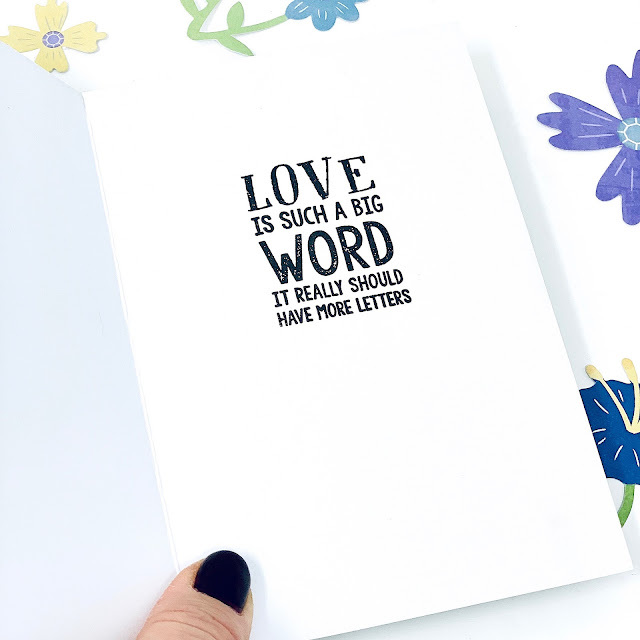 All the cards I made have a sentiment also inside. Here I used a stamp from the Expressions Stamps, stamped it in black Versafine and added a little glitter heart. 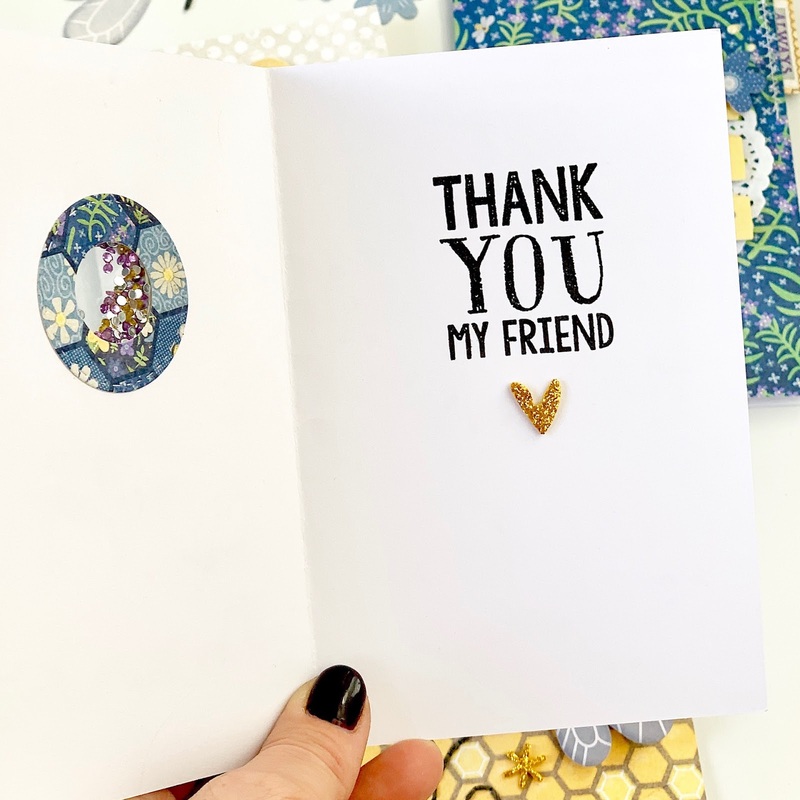 For the first card I chose a honeycomb pattern and a bee cut out. 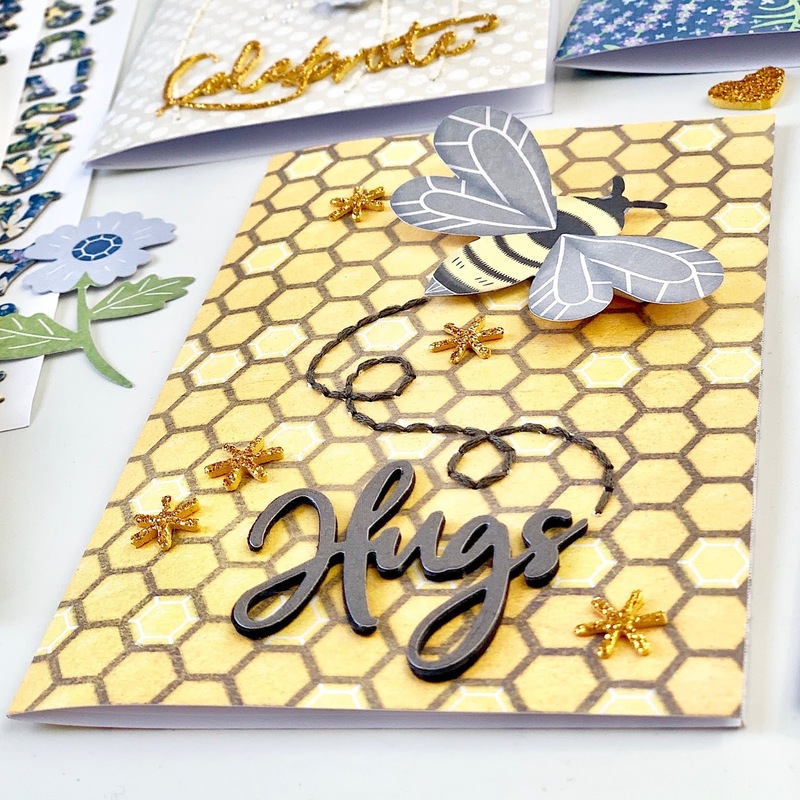 To move to the next level, I sewed by hand the design of the fly of the bee and added the word Hugs from the same All Occasion Sentiments die set. If you can't sew or you don't have time enough to do it, you can simply draw it using a black liner. 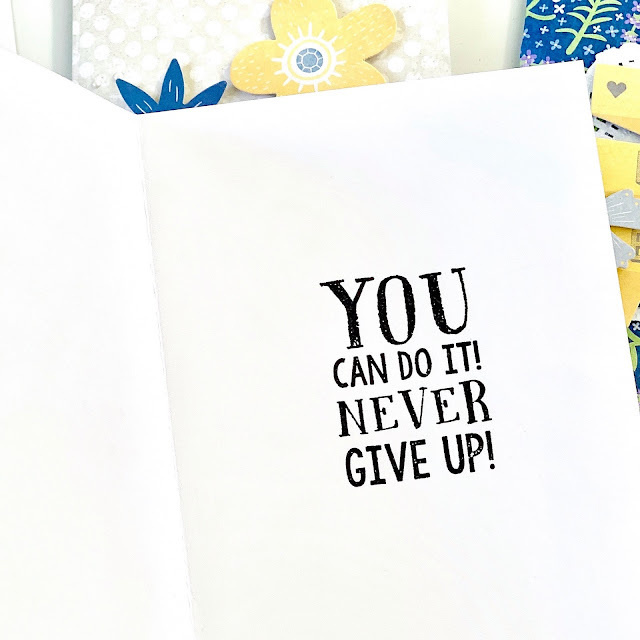 To cover the back of the stitch visible in the inside of the card, I cut a piece of white paper slightly smaller than my card and adhered it with some adhesive. On the same paper I stamped the sentiment this time from the Quotations Stamp set. Based on the same stitching idea of before is the second card. The patterned paper is a cream polka dots patterned on which I stitched the stems of three flowers. 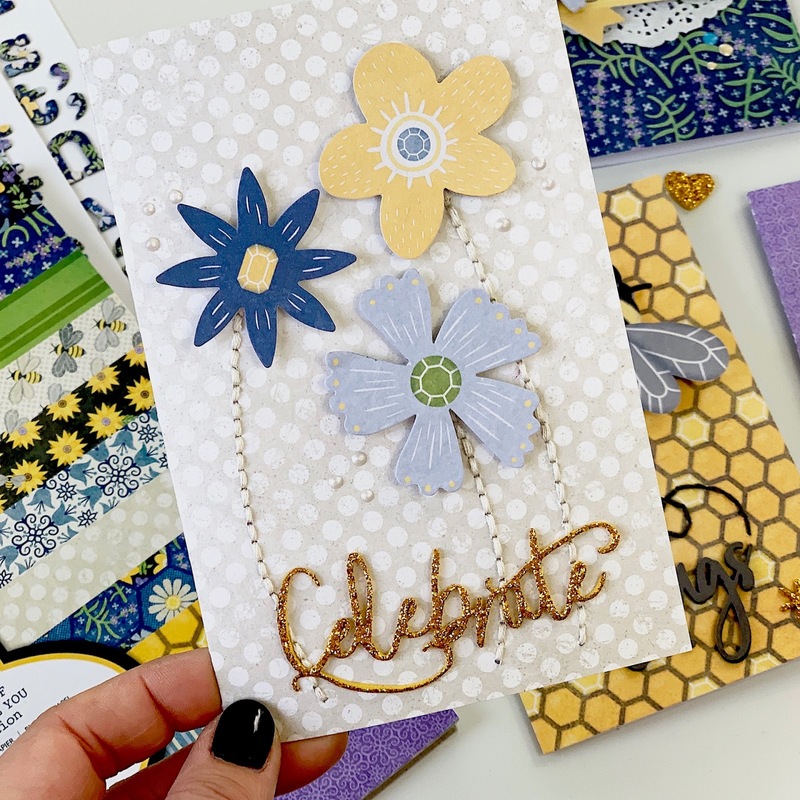 I added the word Celebrate in glitter, using the All Occasion Sentiments dies and a few Pearlescent dots in Sugar color. 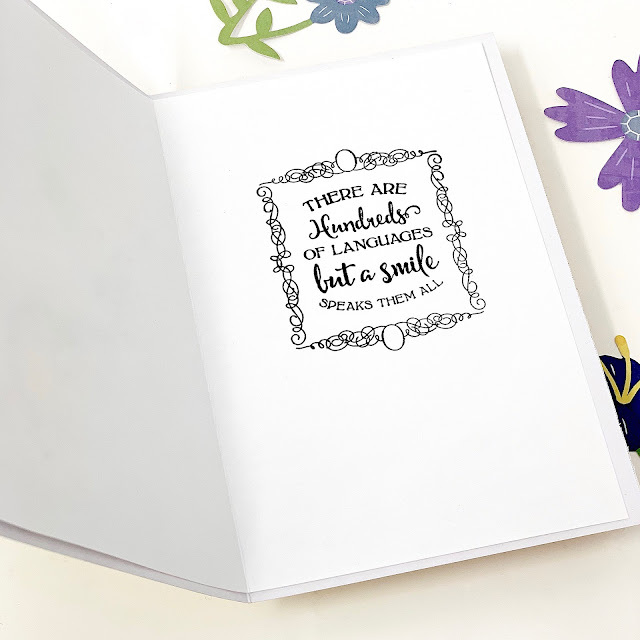 Inside the card, I chose another beautiful sentiment from the Quotations Stamps, stamped on the white paper I used to lining the inside. Again bees for my forth card and a layer of pieces form the Noteworthy pack like the honeycomb. I cut the word Enjoy from the Charcoal Double Dot paper and from a piece of black fun foam. I glued the two pieces together to make the sentiment stand out. Since in this card there's no stitching, I didn't need to lining so I stamped directly on the card. In fact, the papers from the 6" x 8" paper pad which is another plus for card making! The fifth and last card is definitely the quickest. I only used die cuts, a doily and a sticker and glued all together. I love the quote of the banner and even more the quote I stamped in the inside of the card. 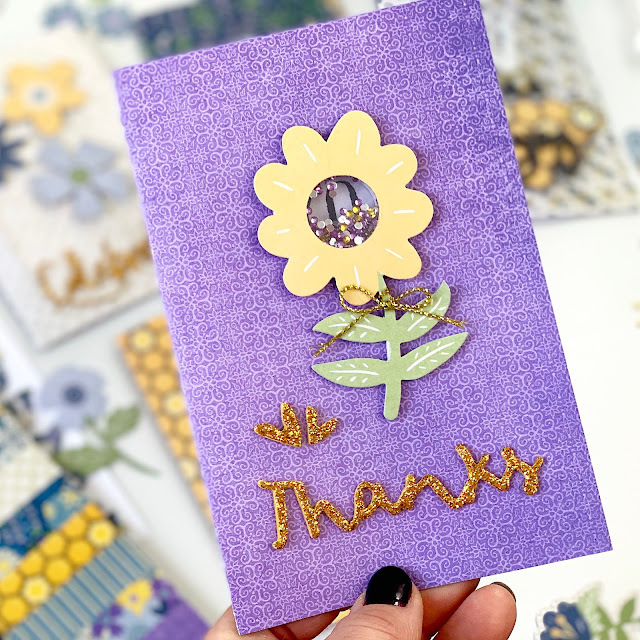 Thank you so much for stopping by today, I hope you liked my quick and easy cards and you feel inspired to create your own. this is awesome Janelle! 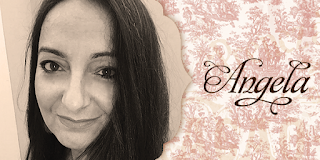 I love your layout...thanks for sharing! !